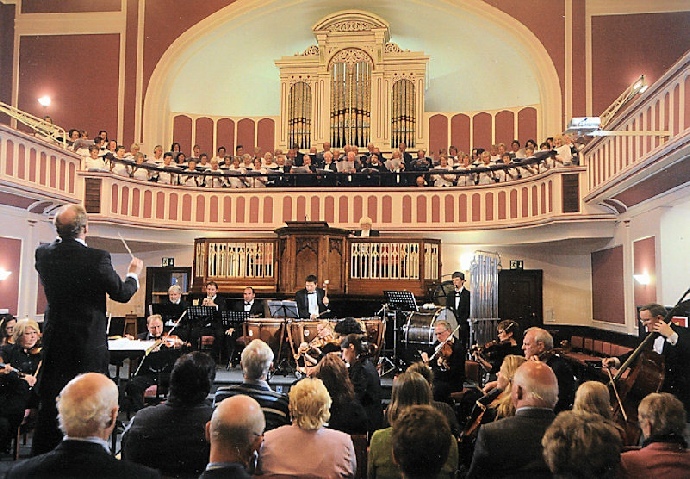 "FROM historical heritage sites and Opera House majesty, this weekend the Jersey Chamber Orchestra joined the Jersey Festival Choir and The Holm-chase Choir in the intimate surroundings of the St Helier Methodist Centre. It will always be Wesley Grove to me. The centre had a wonderful refurbishment a few years ago and is now a glorious place to experience musical events (demonstrating what St James could be if the States stopped pontificating and finished it). However, fitting in nearly a hundred performers and over two hundred audience members was a feat of military deployment. With the choirs taking up the balcony above the pulpit area, the orchestra on floor level and the audience in the horseshoe of both, `intimate' isn't an understatement. 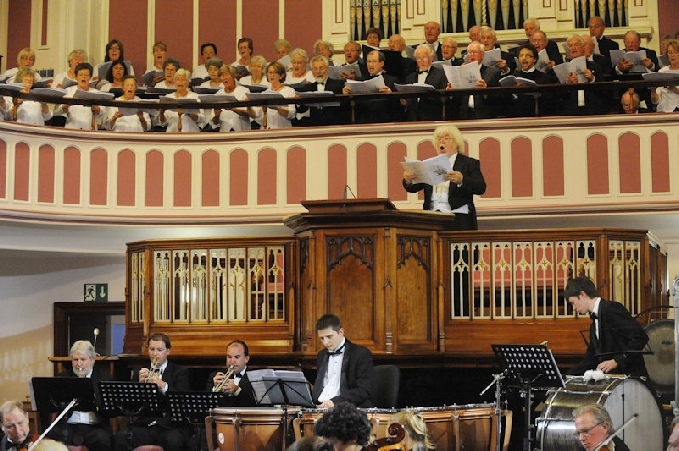 Rather than being uncomfortable, though, it provided a rare opportunity for mere audience members to examine how each section works to create an orchestral and choral whole. 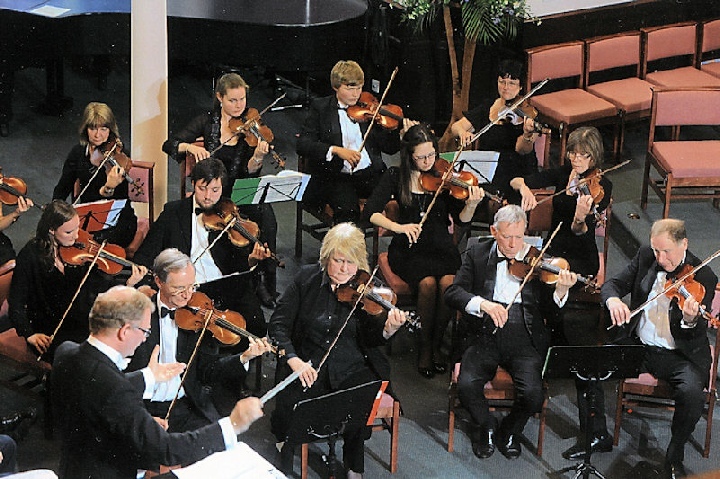 The disadvantages were mainly for the orchestra - not so much that the audience could offer to return the transit of the front cello players' bows, but that the conductor could join the audience in also examining what every section was up to at any particular moment. The conductor for this extravaganza was David Lawrence, resplendent in green cummerbund and braces and enthusiastic from the first whisper to the final finale. 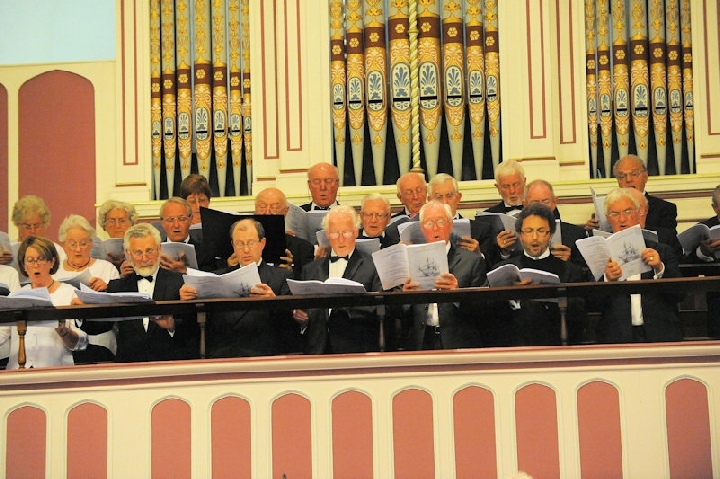 An experienced shepherd of larger choirs, he galvanised, cajoled and encouraged the richest of sounds from the singers and even managed to spotlight the choir leaders for bows, despite their attempts to shrink into the paintwork fifteen feet above him. A gentle introduction with Elgar's Serenade For Strings In F Minor led into Willcocks' A Great And Glorious Victory, telling the story of the great storm that followed the Battle of Trafalgar, forcing recent enemies to work together to save the lives of all the sailors in peril. Visiting soloist Neil Jenkins took its unusual stage directions in his stride - his stride including beside the brass section, in the pulpit and possibly heading for the pub before he was brought back to receive his applause. The overall sound was tremendous, ranging from tolling tubular bells to soaring descants, with phrases sweeping across both orchestra and choir with the rising tides. My only suggestion would be for either living composer or concert arranger to include more narration to embroider this little-known event in the Trafalgar legend above its Latin Mass. Other visitors included soprano Iona Jones, contralto Gaynor Keeble and baritone Andrew Rupp who joined the Haydn Mass In D Minor. Another advantage to the venue was the clarity of each single voice, even when very outnumbered. 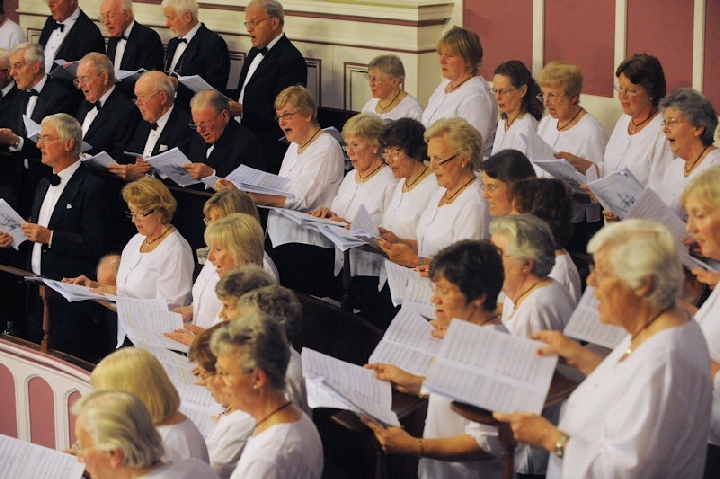 The sound also resonates wherever the audience is positioned in the centre - and would make it an ideal venue to try local choir members on a solo line or two. A collection towards the work of Channel Islands Air Search was taken and raised £637.71 which will go a long way towards the £75,000 they need to raise each year to keep the Lions' Pride as the "lifeboat's eyes in the sky"